Pisces can sometimes be one big puzzle, because it is quite difficult to decipher them, who they actually are and what character they have. Amongst Pisces an extraordinary sensitivity and emotionality usually dominates, often have a soul of romantic, even though hide it and don't talk about it. They appeared to be very withdrawn, shy and overmodest, so they must be careful not to overcome too quickly by emotions. They are characterized by exceptional strength that allows them to survive even the worst situations. Therefore they aren't afraid to undertake even the most difficult challenges. This way they become as people with strong nerves, who stay calm even in the most inconvenient situations. If defeats occur in their life, don't feel sorry for what happened, but very quickly return to normality and forget about the defeat, but simultaneously they learn on own mistakes. Pisces have skills that allow them to adapt to life in different conditions, which makes it easier for them to live. 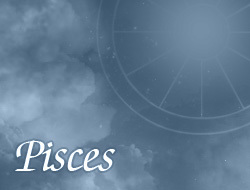 Pisces has an exceptional ability, which enables to change personality in situations, when it is necessary. They stand out with very strong emotional orientation, and therefore emotions are very important to them and are guided exactly according to them.